General purpose of this article is to Discuss on Pros and Cons of Using Aluminum Doors. Aluminum doors have a host of advantages, which is what makes them such a popular choice in the commercial and industrial industries. They’re also increasing in attractiveness in modern homes, where homeowners are searching to add that industrial chic for their finished design. 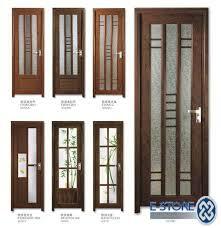 One on the biggest advantages to this option is the stability, strength and durability that these doors provide. Aluminum is exceptionally strong this also is displayed by the quality and strength of the items.